EFF and the ACLU of Southern California each sent California Public Records Act requests to the Los Angeles Police Department and the Los Angeles County Sheriff’s Department seeking documents about each agency's use of Automated License Plate Reader (ALPR) systems—sophisticated cameras mounted on squad cars and street poles that read license plates and record the time, date, and location a particular car was encountered. Location-based information like license plate data can be very revealing. 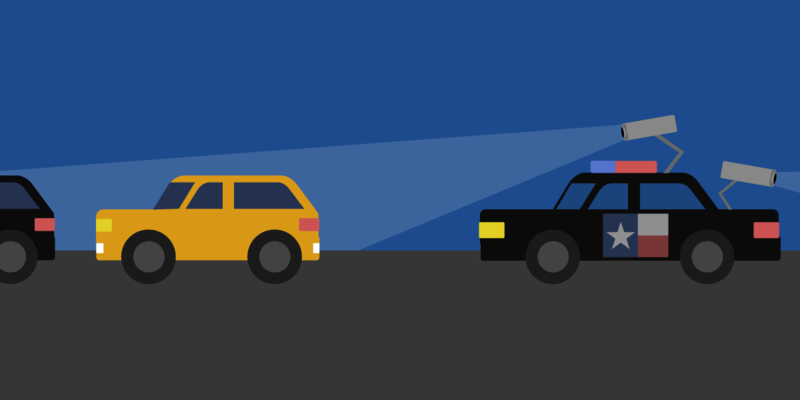 By matching your car to a particular time, date and location, and then building a database of that information over time, law enforcement can learn where you work and live, what doctor you go to, which religious services you attend, and who your friends are. Given the sensitive nature of this data, EFF and ACLU-SC wanted further information on how the agencies were using the systems. The organizations asked for documents relating to policy and training on ALPRs, as well as a week’s worth of ALPR data collected by the agencies in 2012. While the sheriff and police departments produced some materials, they failed to provide documents related to sharing information with other agencies, and neither agency produced the data collected during the one-week period. After this failure to comply with the California PRA, EFF and ACLU-SC filed suit in Los Angeles County Superior Court.